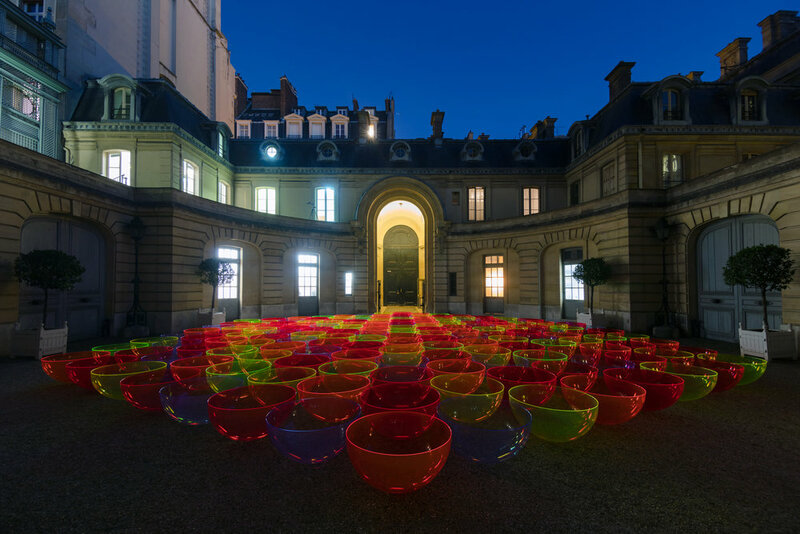 Liz West’s installation Aglow was created in partnership with Nemozena. 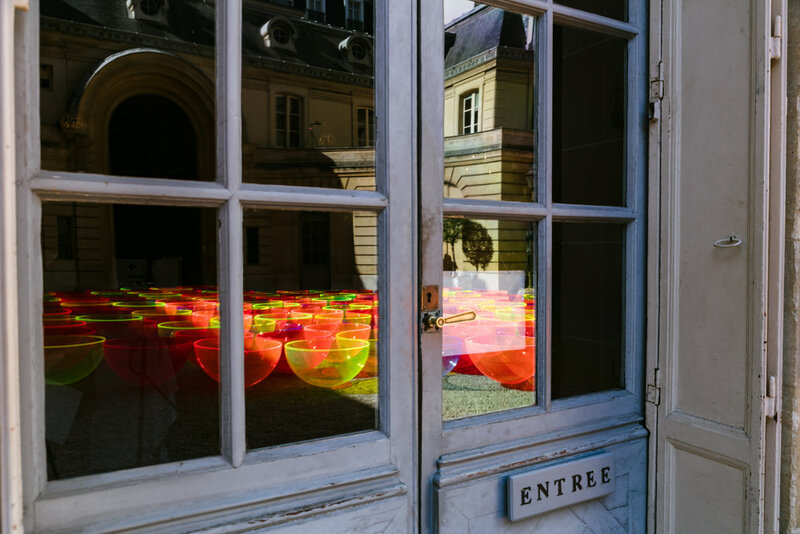 This ambitious outdoor work made entirely from luminous fluorescent acrylic was exhibited at the Musée Nissim de Camondo during Paris Fashion Week. 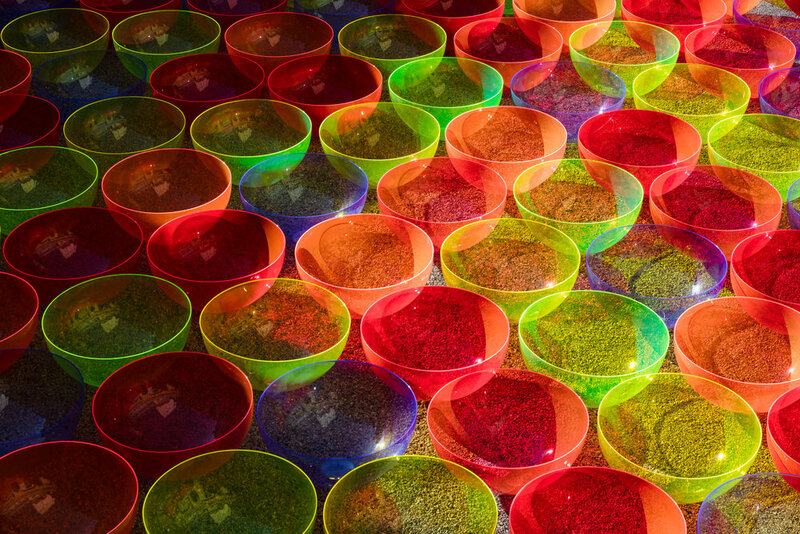 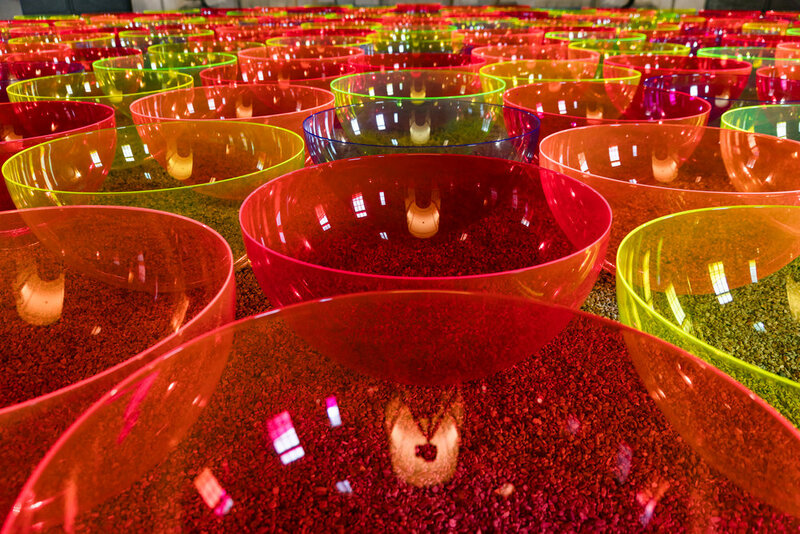 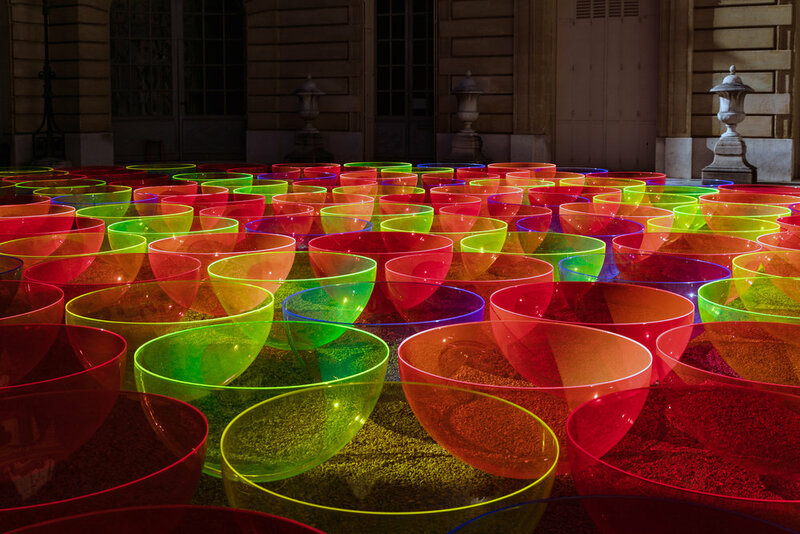 Aglow consists of one hundred and sixty-nine hemispherical fluorescent coloured acrylic bowls arranged on the ground in a hexagon shape. 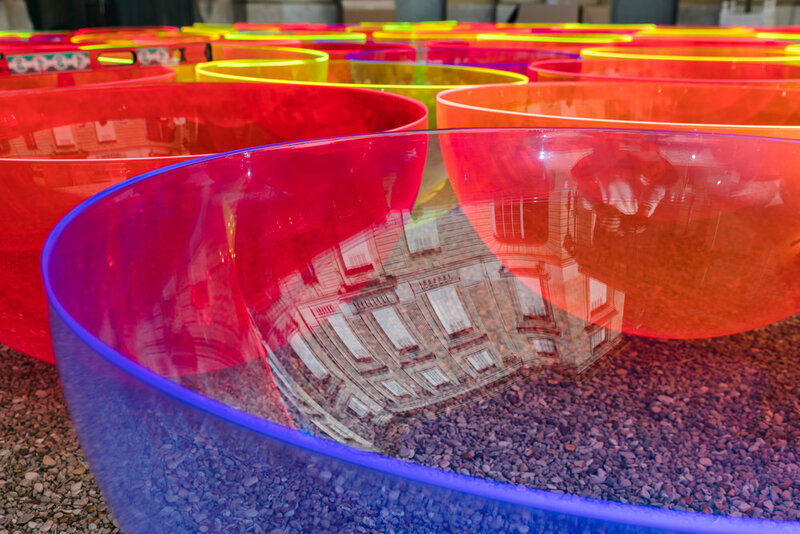 The edges of these multiple unplugged fluorescent bowls in six neon colours will glow as if charged with electricity. 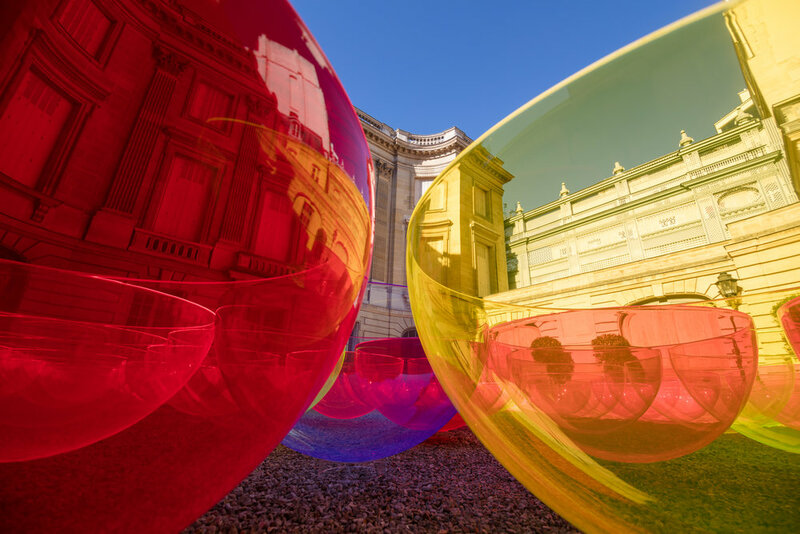 These 'live' edges and choice of material embodies West's interest in the relationship between colour and light and their ability to enhance the viewers perception of the work. 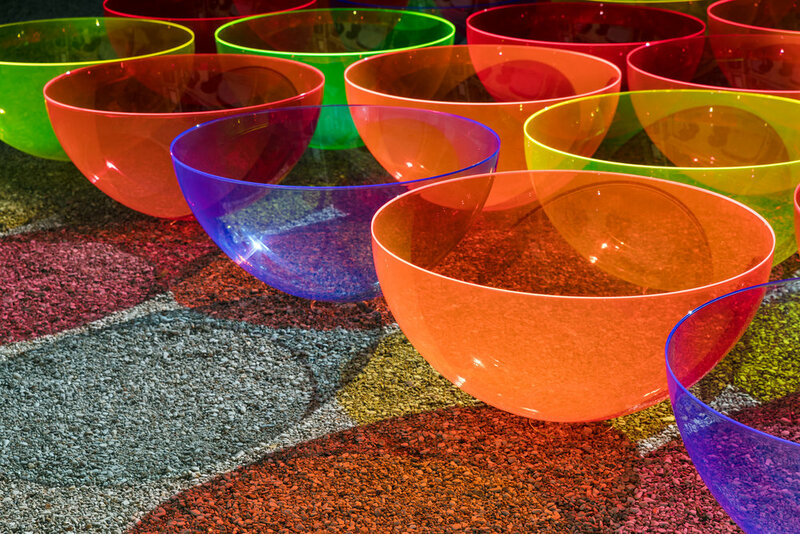 The acrylic bowls offer a highly reflective concave surface enabling spectators the opportunity to see their surroundings in a new (fluorescent tinted) light. 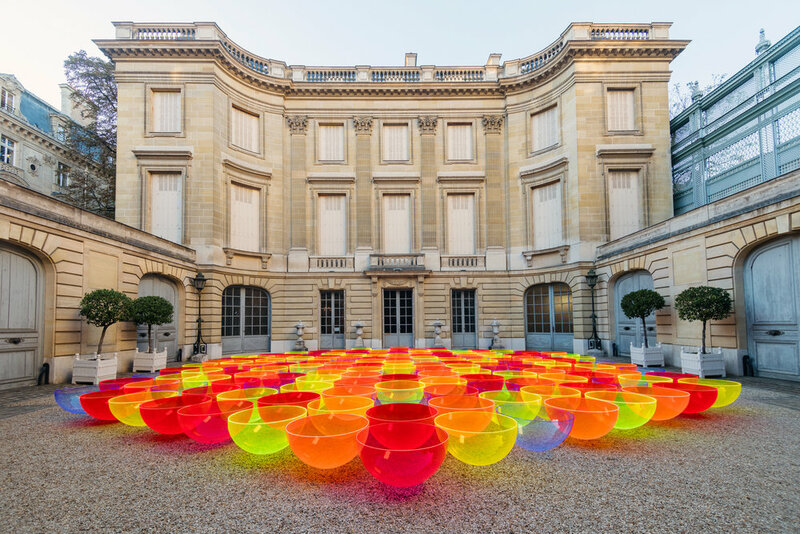 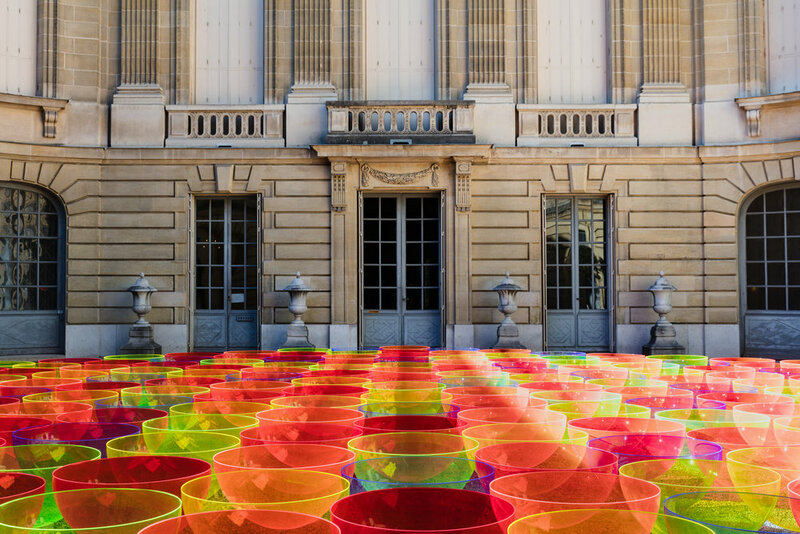 The individual bowls also serve as rain catchers, adding an extra dimension to the work and another reflective surface in which to observe the surroundings of the exquisite Musée Nissim de Camondo courtyard in central Paris. 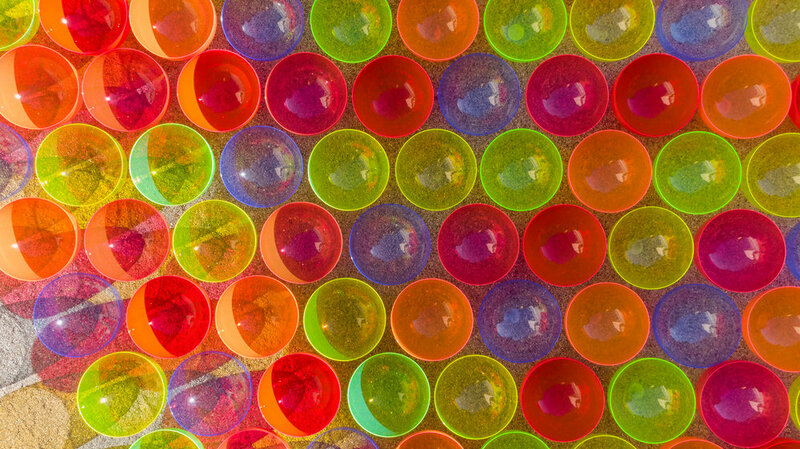 Used repeatedly in nature, the hexagon is a practical, economic, space saving polygon. 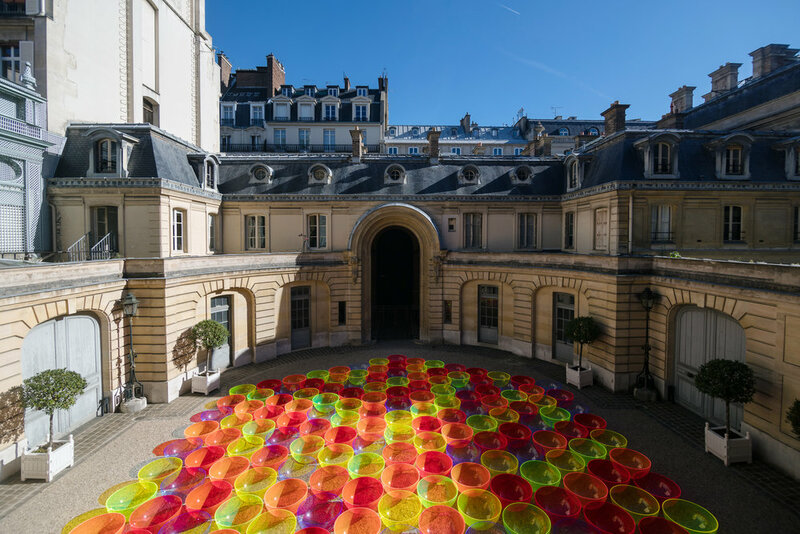 West often utilises geometry and repeat in her installations to create large scale and impactful works. 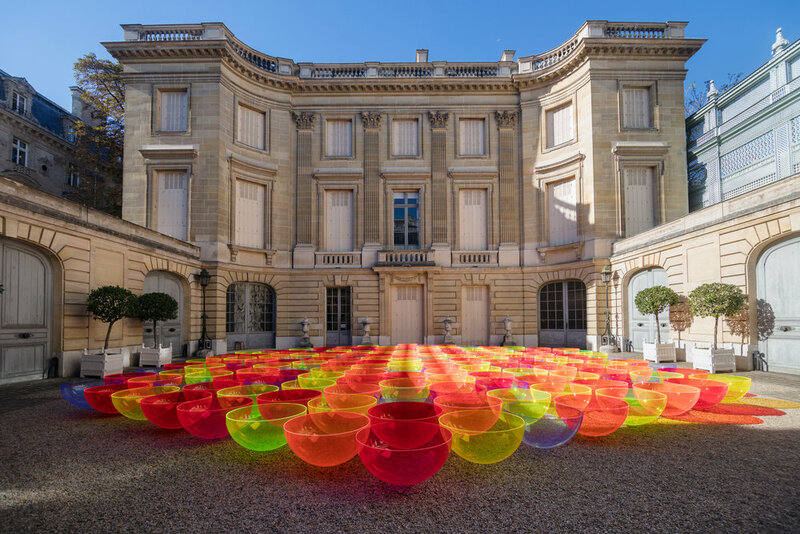 Aglow has been commissioned by Nemozena, it will tour to Dubai and Milan.